The Public Record is interviewing candidates running for the City Council seat representing Ward 15 on September 6, and September 11. We’ll post both interviews with Judi Partridge and Susan McKechnie on September 13. Subscribe to The 155 Podcast on Google Play, iTunes, or by RSS in your favourite podcatcher. View all the episodes and summaries of key answers from candidates here. These are the questions they will be answering. How have you contributed to your community and our city? What are your two priorities for Ward 15 and two priorities for Hamilton as a whole? What are three skills you will bring to elected office that make you the best choice to represent Hamiltonians on City Council? Businesses in the Hamilton Technology Centre state they are at a competitive disadvantage due to a lack of HSR service connecting them to McMaster and Waterdown. Further, staff and students traveling to McMaster from Waterdown are forced to bare the costs and burdens of driving to McMaster. As Ward 15 City Councillor, how will you manage this issue during the next four years? Hamilton’s zoning regulations prevent the building of multi-unit clustered housing which is in scale with existing single-family housing, commonly referred to as “The Missing Middle”. There are approximately 100,000 Hamiltonians in their 20s, and approximately 140,000 Hamiltonians over the age of 65. The “Missing Middle” is medium-density transit connected housing in walkable communities and is important to young renters, first-time owners, and critical for seniors seeking to successfully age in place in the communities they’ve lived for decades. As a Member of City Council, you will need to address housing challenges in Hamilton, you will face opposition to infill development, and provincially mandated intensification. How will you respond to concerns about development, and where do you believe mid-density growth should occur in your ward? 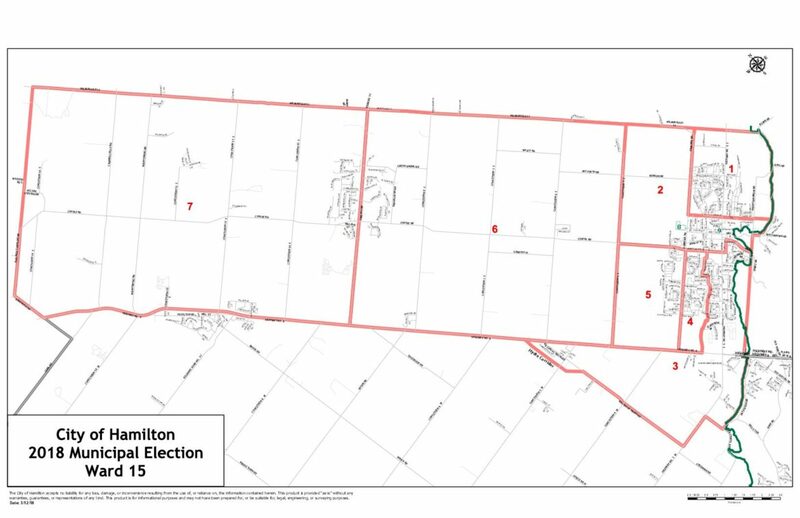 What is something interesting or unique about Ward 15 that you believe the rest of Hamilton should know? What are two changes you will propose to improve City services? What are two changes you will propose to improve quality of life in Hamilton? Hamilton City Council decided against ranked balloting. Ranked balloting enables voters to choose by prioritizing candidates – such as the top three – they feel qualified for public office and best able to represent them. What is your position on ranked ballots? How will you improve civic governance and engagement during the next four years? How will the City of Hamilton’s Strategic Plan guide your decision in hiring a new City Manager, and what qualities do you seek in a new City Manager? Politics is the art of allocating limited resources and compromising to find solutions, how will you do so? It’s 2022, The Public Record writing a review of the four year Council term that is just ending. What three words do you hope we will use to describe your term on Council, and what three words do you hope will describe Council as a whole? Thank you, that’s the end of the prepared questions you were sent in advance. Do you have closing remarks you wish to share?